We all know that eating or drinking too much sugar can cause cavities, and by now we should all be aware of the oral health risks associated with smoking or tobacco use. 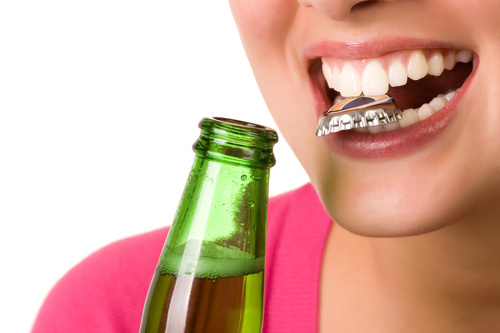 But these common facts aren’t the only habits that may be affecting your smile. At our dental office in Austin, we know plenty of other habits that can be just as damaging. Check out some of the top, and perhaps surprising, culprits. Your dentist in Austin encourages you to brush your teeth twice a day, but not just any type of brushing will do. Any scrubbing motion or using too much pressure can cause gums to recede. Instead, brush using gentle circles to get your smile clean and keep it protected. The team at our Austin dental office would prefer if all of our patients and neighbors had perfectly healthy smiles and never encountered any problems, which is why we put so much emphasis on preventing dental issues from ever occurring by educating them on things just like this. But we understand that things do happen, and when they do, we’re more than happy to help.